Although its theoretical foundation is well understood by researchers, a blast furnace is like a black box in practice because its behavior is not always as expected. It is a complex reactor where multiple reactions and multiple phases are involved, and the operation heavily relies on the operators' experience. In order to help the operators gain insights into the operation, the authors do not use traditional metallurgy models but instead use machine learning methods to analyze the data associated with the operation performance of a blast furnace. They analyze the variables that are connected to the economic and technical performance indices by combining domain knowledge and results obtained from two fundamental feature selection methods, and they propose a classification algorithm to train classifiers for the prediction of the operation performance. The findings could assist the operators in reviewing as well as improving the guideline for the operation. Business intelligence is not a single technology but comprises multiple technologies, whose collaborative use is to efficiently and effectively utilize available data in decision-making for business or, more generally, all kinds of operations in all kinds of organizations. 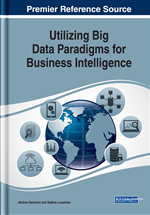 Likewise, big data is not a single technology but comprises multiple technologies. It comes with the same fundamental concept, which is utilization of data in decision-making, but big data is more concerned with various issues relevant to data. These issues are not only on the quantity of data but also on the characteristics and quality of data. Volume: The data that we use us is a collection of samples that are sampled in different rates and processed in a daily basis for five years; the processed data is small, but the raw data is not. Variety: The data is collected from multiple sources; it is in a traditional format, but its contents are of high variety so that non-traditional data processing is required. Veracity: The data is collected from different systems designed for different functions and with different capabilities; the quality varies from one part of the data to another part so that robust analysis is required. Value: The methods presented in this chapter can assist the operators in having insights into the operation data, and the insights would be potentially valuable from the business perspective; the methods could be core components in an operation decision support system for blast furnaces. A blast furnace is a manufacturing facility to achieve economies of scale in metal production. It is a tall and big structure in which raw materials are heated to a very high temperature in order to smelt metal and reduce raw material to molten metal. Blast furnaces have been used and studied for centuries (Geerdes, Chaigneau, & Kurunov, 2015; Peacey & Davenport, 2016), and they play an important role in the modern metal production (Zhou, Cheng, Wang, & Jiang, 2017). Each blast furnace is a complex system. The theories that support the operation of a blast furnace are well developed and well understood; however, in practice, how the blast furnace performs is not always as planned and how it reacts to the operation adjustment is not always as expected. The quality of raw materials has a significant impact on the operation of a blast furnace. Some small differences inside the blast furnace or in raw materials would possibly lead to differences not negligible in the quality and/or quantity of the produced metal. Raw materials with sufficient quality would assist the operators in obtaining the steady operation of a blast furnace and reaching the predetermined production target. The steady supply of raw materials with sufficient quality is one of the key factors that enable a blast furnace toward the steady production of hot metal. Competition in the industry has been the driving force behind the more efficient production. If the operators could know more about how the quality of raw materials influences the operation performance, they would have a better chance of achieving the better hot metal productivity with less cost, which corresponds to the better business performance. For example, if the quality of raw materials could be downgraded but still meet the requirement while at the same time, the quality of the product could be maintained, then the production cost would be reduced (and the competitive advantage would be obtained). The benefit of such cost reduction would be great especially when the blast furnace is not fully loaded. Therefore, it is of high value to have better understanding on the relationship between the quality of raw materials and the operation performance of a blast furnace. In addition, the operators would like to know more about how operation parameters would affect the operation performance. For example, it is valuable to know the impact of the operation of hot blast on the productivity.